I am sure that those of you who own pets at some time have had issues with pet odors. And while it may not bother us much, it can often bother others. 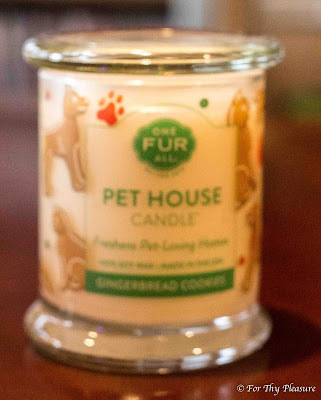 Well, One Fur All Pet House Candles, helps with this very problem. 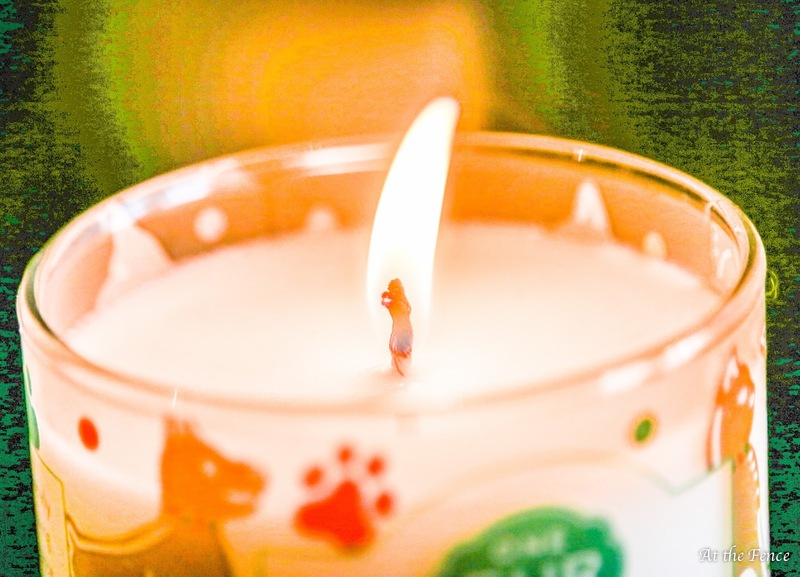 Now, I know you are wondering just how well a candle will work for eliminating dog odor or other pet odors. Honor spend a lot of time with me in the living room. That is where my desk and computer are, so her bed is in here also. Lately we have had a few snow flurries, and just plain old, cold, wet weather. So, Honor has come in smelling like wet dog. 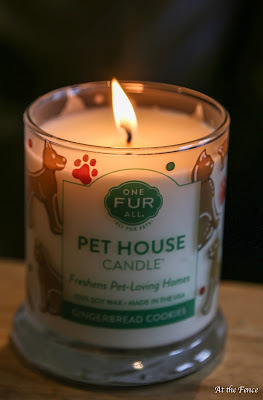 So, we decided to try the One Fur All Candle. I received the Gingerbread Cookies scented candle (8.5 oz.). The response I received was quite amazing. Two of my daughters walked in at different times and asked what smelled so good. 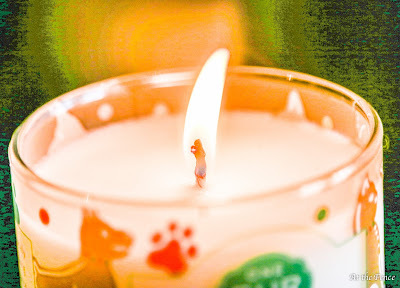 The most amazing thing to me was, I could still smell the scent when I walked in the next morning and throughout the day, without re-lighting the candle. Amazing! 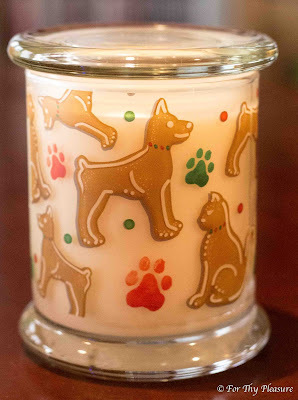 So far I have only tried the Gingerbread Cookies, but I have a feeling the other scents are probably just as good. You can choose from ; Candy Cane, Evergreen, Holidays, Apple Cider, Fall Leaves, Pumpkin Spice, Sugared Cranberries, Citrus, etc. Not only do they have candles, they also have wax melts, mini candles and car fresheners. These candles will of course work on other odors too. Like smelly bathrooms, kitchen odors, cars, anywhere you find stale or smelly odors. I will be using one when we have our next litter of pups. Sometimes the puppy room begins to have strong odors too! 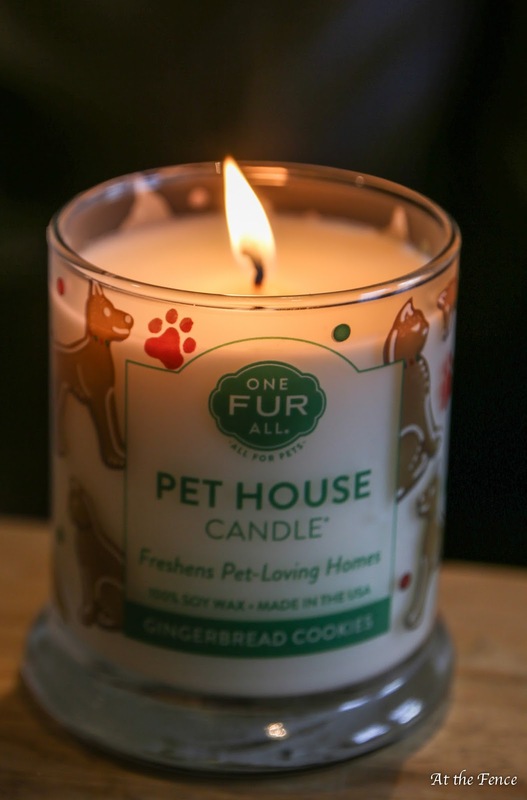 And then again, you don't need to have odors to cover up to enjoy the fragrance of one of these candles from One Fur All. They would definitely make a great gift for that pet lover in your life! These sound like nice candles. I love candles that leave a lasting scent. I'd use this in my living room where the dog spends most of her day. Do these candles have soy in them? I regularly use a candle warmer comes with a warning not to use soy candles. I have often wondered if these actually worked! Thanks for the info...I've got to check them out! These are pretty awesome candles! Pets rule. Super cool! 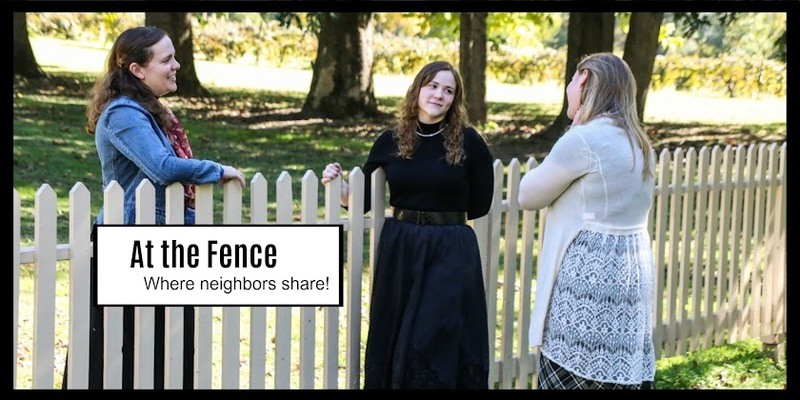 I have a dog and this would be a huge help, thanks for posting.